DIY Tapes - Yuzet® - Design & manufacture of retail packaged products. Everyone at some stage has used a roll of tape to stick, join or decorate with. We pride ourselves on having a tape to suit any application. Further more if we don’t stock it ( highly unlikely) we can source your exact requirements for you. This could be an obscure width, a branded tape, tapes in your own colours - just give us a call. 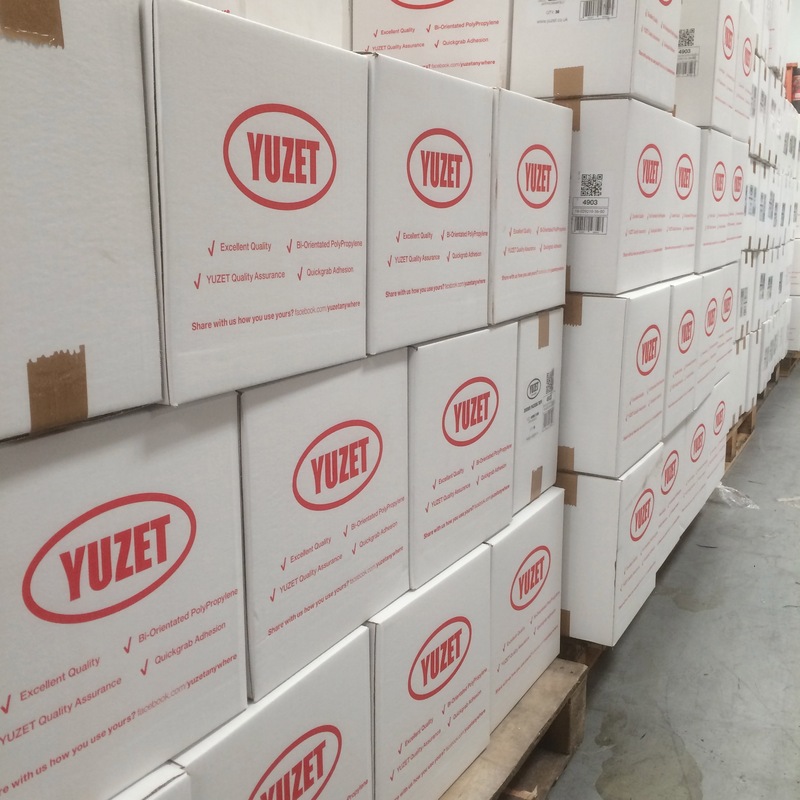 At Yuzet® our product range of tapes is extensive with many applications. Our aluminium foil tapes. This is a 30micron thick class “O” approved bright aluminium foil. The adhesive on the back of the tape is pure acrylic which works well at very low temperatures. The tape comes with a peel back paper liner making it easily conformable. 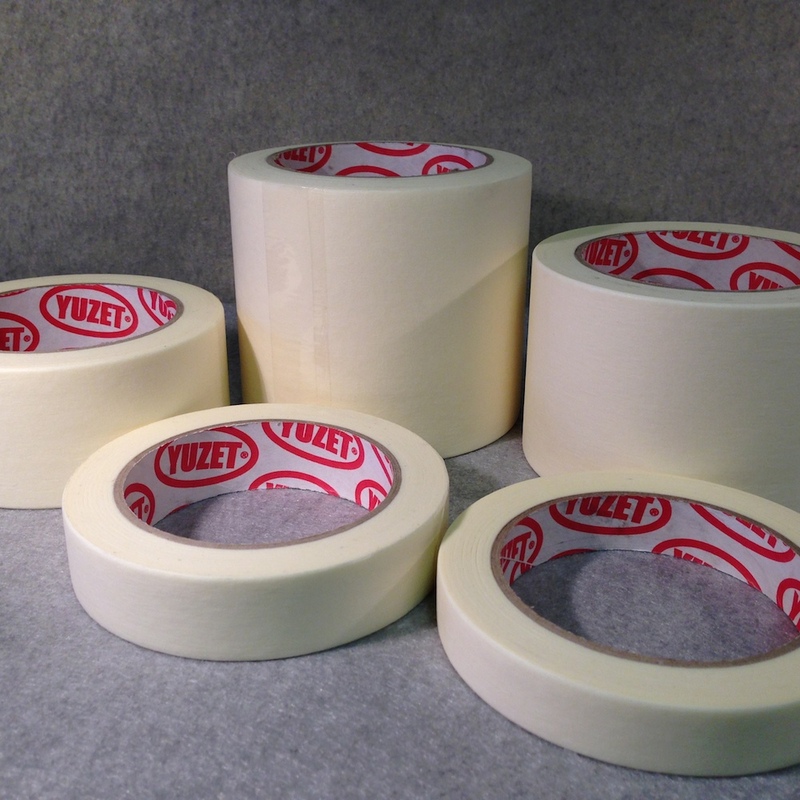 Used for masking off and preparing surfaces for decoration YUZET® masking tape is a high quality masking tape designed for professional use masking of surfaces. Probably the widest used tape product around, literally a toolbox on a roll with a whole multitude of uses. Yuzet® duct tape comes in a range of handy pocket sizes plus contractor length rolls in NINE colours.